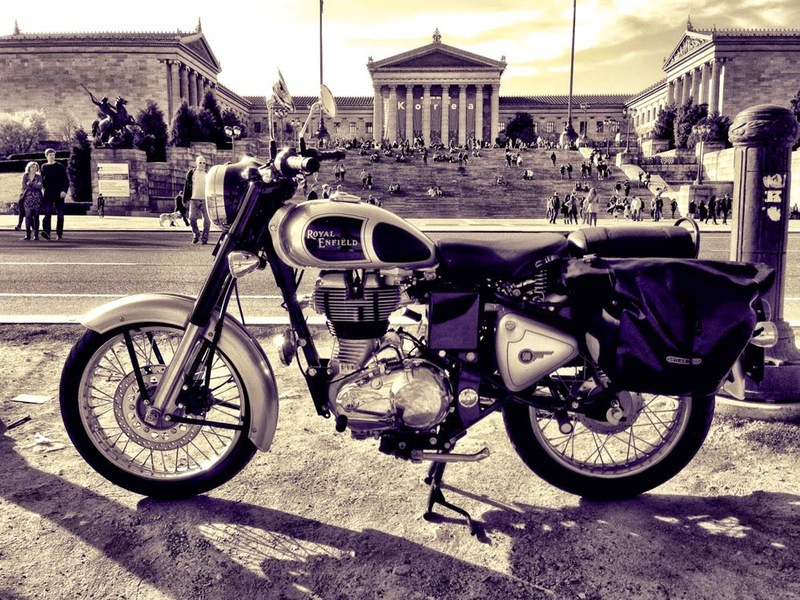 James' new Royal Enfield pictured with the Philadelphia Museum of Art. Photojournalist James Conley thought he heard an odd noise coming from his brand new Royal Enfield C5 motorcycle. The noise struck him as "similar to the sound vibrating keys might make against a handlebar, but much deeper." James may be a bit of a perfectionist. He posted about the noisy Enfield on his blog Compleat Life, which is subtitled "Getting things done in the best way possible." The blog features brightly written travel and product reviews, and beautiful photographs, many of them showing James' new C5. These are striking; James claims to have chosen a silver Royal Enfield C5 so it would look better in black and white photographs. James posted a YouTube video of the motorcycle making the noise. His Philadelphia dealer couldn't pinpoint the cause. It stumped me, too. The usual suspect would be loose valves out of adjustment; but the C5 has self-adjusting valves. And then, almost purely by chance, James found the answer, or thinks he has. I won't give it away. You'll have to turn to James' blog to read the surprising answer and see a photo of the culprit.